MainAll NewsForeign AffairsDid former British PM want to be Trump's adviser? Did former British PM want to be Trump's adviser? Tony Blair denies reports he had contacts with Trump about the possibility of Blair becoming his Middle East adviser. Former British Prime Minister Tony Blair on Sunday denied reports in British media that he had contacts with U.S. President Donald Trump about the possibility of Blair becoming his Middle East adviser, AFP reported. The Mail on Sunday newspaper reported that Blair met with Trump's son-in-law and key aide Jared Kushner last week to discuss taking a role with Trump. The newspaper also said Blair had met Kushner three times since September. A spokesman for Blair initially said, "I'm not going to comment on private conversations." But a statement on his website later said, according to AFP, "The story in The Mail on Sunday is an invention. Mr. Blair has made no such 'pitch' to be the president's Middle East envoy. Neither has he had any discussions about taking such a role or any role working for the new president." It added, "He has been working on the peace process for 10 years. He continues to do so. He does so in a private capacity. He will continue to do it in that way." After his term as British Prime Minister concluded, Blair served as the envoy of the Middle East Quartet until he resigned in 2015. 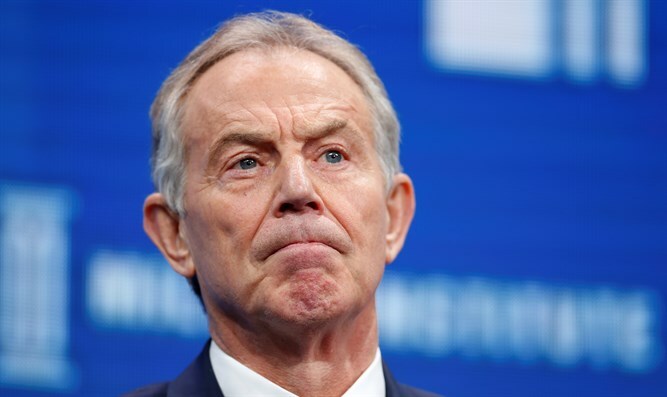 However, he has continued to act independently to restart the peace process between Israel and the PA. Reports last year said Blair was on a list of several international figures behind a failed move designed to legitimize the addition of the Zionist Union to the Israeli coalition, in an attempt to then restart peace talks.